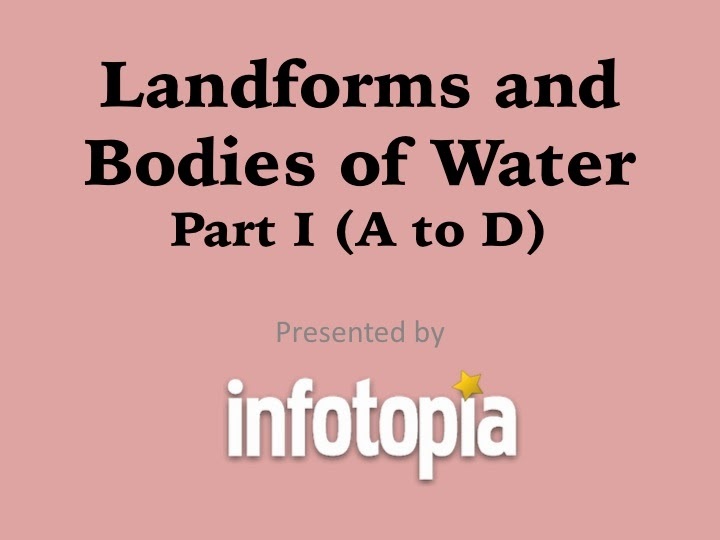 Check out our new set of YouTube videos on landforms and bodies of water. 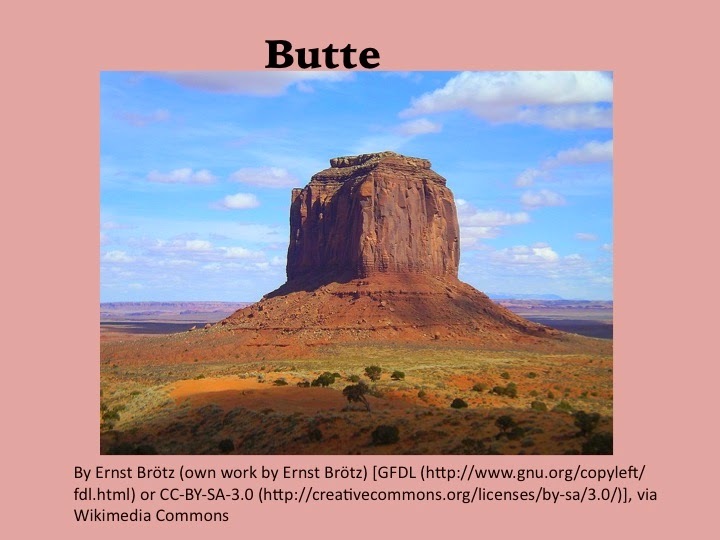 Part I is now online and includes images and definitions of landforms and bodies of water from A to D. Included in this video are: archipelago, atoll, bay, butte, canyon, cape, cave, cay, channel, cliff, continent, cove, delta, desert, and dune. 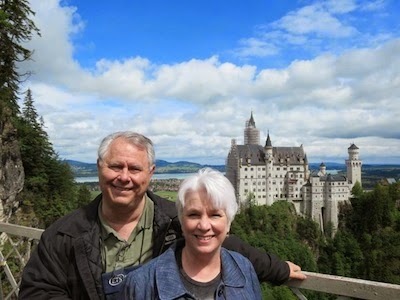 Coming next week, Part II will include Landforms and Bodies of Water from E to O, and in two weeks, Part III will include Landforms and Bodies of Water from N to Z.